It works hard so you don't have to. 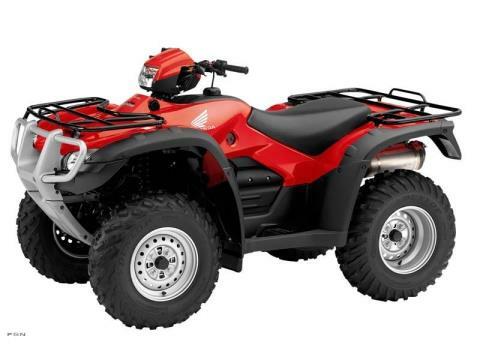 Your weekly list of chores isn’t getting easier, so why would you opt for an ATV that isn’t up to the job? Enter the Honda FourTrax® Foreman® 4x4, a tough-as-nails machine that’s one of the hardest-working ATVs in our Utility lineup, featuring a beefy 475 cc longitudinally-mounted single armed with heaps of task-tackling torque. Our exclusive, electronic, shift-on-the-fly TraxLok® selectable 2WD / 4WD system. And for the record, after you’ve put away your tools, the Foreman 4x4 loves to play just as hard as it works.